Abstract:bellows plays an irreplaceable role in many respects such as petrifaction,instruments and apparatus,aerospace,chemical engineering,electric power,cement etc.Today I will introduce you the five types of corrugated pipes which include metal bellows, bellows expansion joints,bellows heat exchange tubes, diaphragm bellows and metal hoses. The bellows is a tubular elastic sensing element which can be joined by folding foldable pleats in the direction of folding and contraction.in the operation process,Bellows are widely used in experimental instruments and can be used as a tool to measure pressure to convert pressure into displacement or other driving forces.bellows plays an irreplaceable role in many respects such as petrifaction,instruments and apparatus,aerospace,chemical engineering,electric power,cement etc.Today I will introduce you the five types of corrugated pipes which include metal bellows, corrugated expansion joints, corrugated heat exchange tubes, diaphragm bellows and metal hoses. The bellows has a relatively fixed open end and an auxiliary spring joint or spring piece for added resilience.During operation, it is elongated along the length of the tube under internal pressure so that the movable end can produce a certain relationship of displacement within the pressure.The bellows is typically combined with a displacement sensor to form a pressure sensor that outputs electrical power. Since the bellows stretch requires a large volume change, and its response speed is lower than the response speed of the tube. Bellows are generally suitable for measuring low pressure. 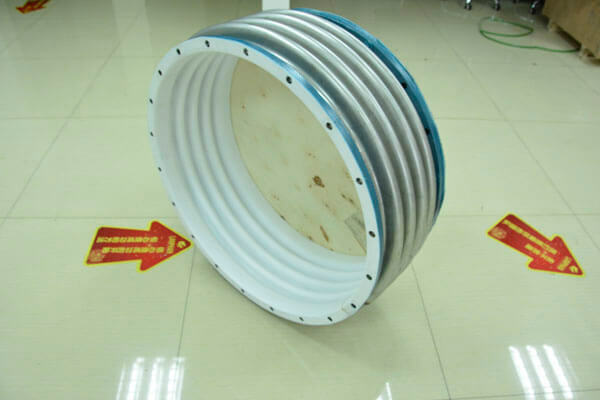 As a kind of sensitive element,decompression element,compensating components and valve element.bellows are widely used for automatic control,measuring instrument,vacuum technique,mechanical industry and other respects.metal bellows is made of different kinds of metal according to the application.Metal bellows are mainly used to compensate for thermal deformation, decompression and pipeline deformation of the pipeline.it is widely used in the fields of petrifaction,instruments and apparatus,aerospace,chemical engineering,electric power,cement and other industries. 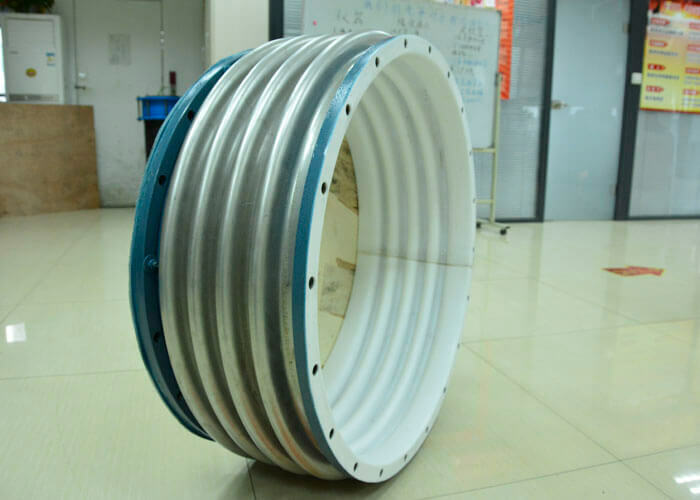 The bellows expansion joint acts as a compensator to compensate for a flexible structure within the vessel or pipe.it can compensate the extra force caused by temperature difference and mechanical vibration.as a flexible compensation component,bellows joints can be flexible stretched and with the advantage of reliable operation,high performance,compact structure.bellows expansion joints is widely used in the field of chemical engineering,metallurgy etc. 3. Bellows exchange heat tubes. Bellows exchange heat tubes is a new kind of shell exchange heat tube.The heat exchange element replaces the original straight tube with a bellows heat exchange tube, which Increases heat transfer efficiency by 2 to 4 times.The structure of the bellows heat exchange tube changes periodically, which is much more complicated than the original straight tube.This completely interferes with the fluid in the pipe, forces the fluid to accelerate, and allows the exchanger to increase its heat transfer capacity.Another advantage of the metal heat exchange tube is that it continuously contracts the expansion joint to provide compensation.that is to say,under certain conditions,the bellows exchange heat tubes can freely stretch within limits. The diaphragm bellows is a resilient element for pressure measurement in a pressure measuring instrument. The corrugated diaphragm capsule is primarily used to measure small pressures. The diaphragm is primarily used to measure low pressures up to several megapascals.at the same time,it canbe used as isolation component.In this case, the displacement of the diaphragm is minimal, followed by the capsule, the largest being the ripple. For larger displacements, several capsules can be joined together to form a capsule set. Metal hoses is a key component of modern industry equipment.it can be widely used in electric wire,cable,Automated instrumentation signal and expansion joints on civil showers.the range of the metal hoses is from 3mm to 150mm.